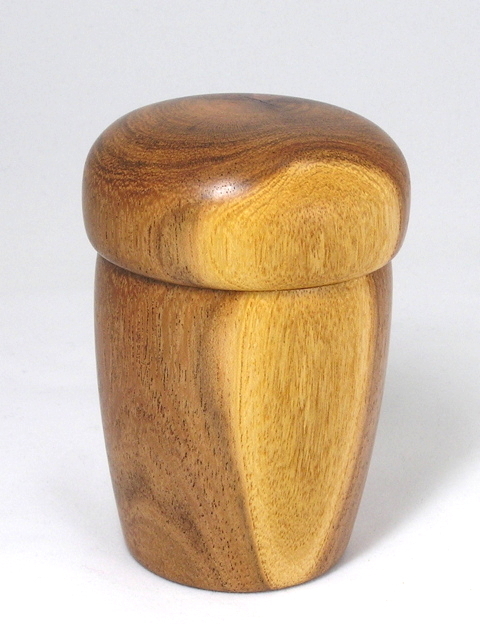 Mesquite Box - TT187 [TT187] : No Skew Turns, Gifts handcrafted from the world's beautiful woods. 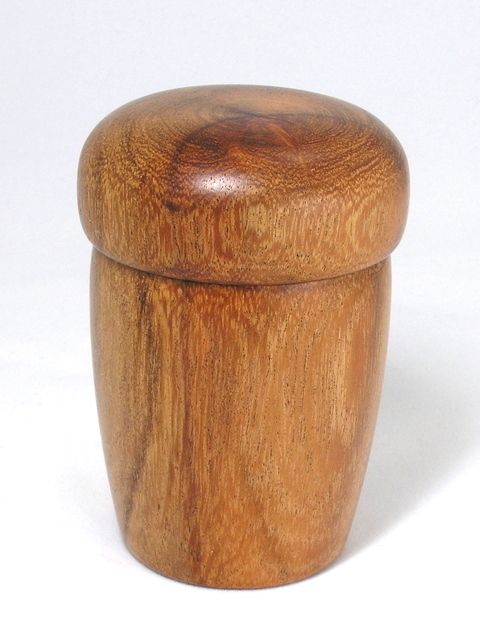 This unusual Mesquite box displays a yellow peg-shape patch of sapwood on lid and body as a focal point. The "peg" effect is echoed in the shape of the box body as it tapers towards the bottom. The top has a slight suction fit, and the inside bottom is flat.